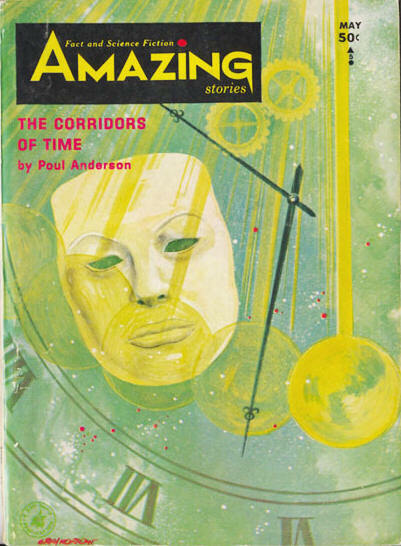 59 · The Corridors of Time [Part 2 of 2] · Poul Anderson · n.
6 · Killer Ship [Part 1 of 2] · Murray Leinster · n.
101 · Killer Ship [Part 2 of 2] · Murray Leinster · n.
fc. 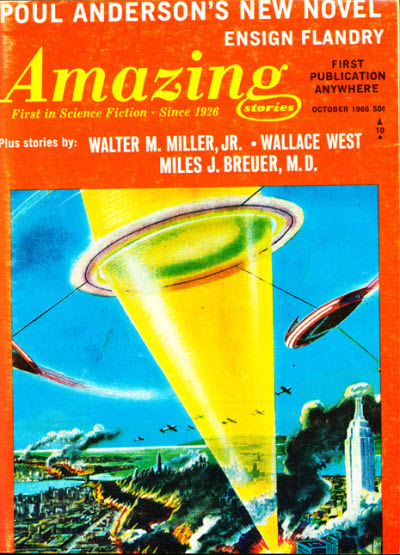 · [front cover] · Frank R. Paul · cv Fantastic Adventures May 1946; originally published as the back cover of the magazine. 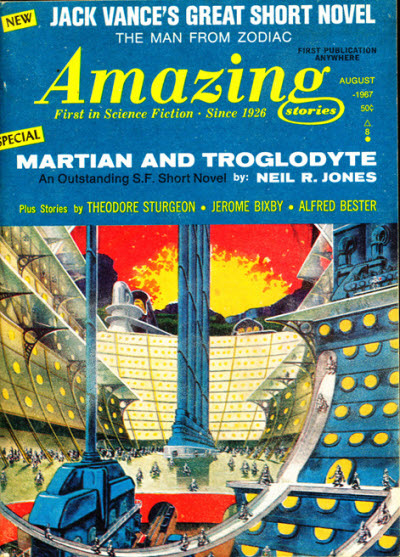 132 · Moss Island · Carl Jacobi · ss Amazing Stories Quarterly Win 1932; revised from The Quest May 30. 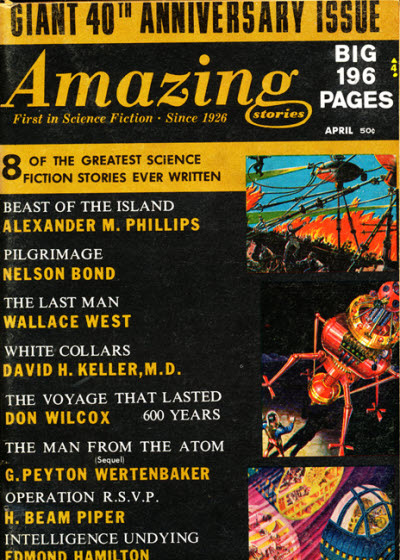 121 · Pilgrimage [Meg] · Nelson S. Bond · nv The 31st of February, Gnome 1949; revised from The Priestess Who Rebelled, Amazing Oct 39. 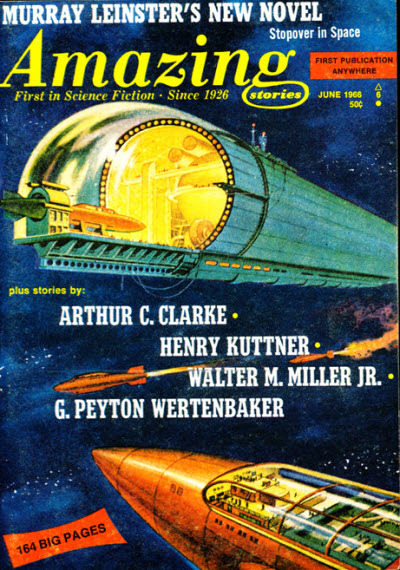 fc. 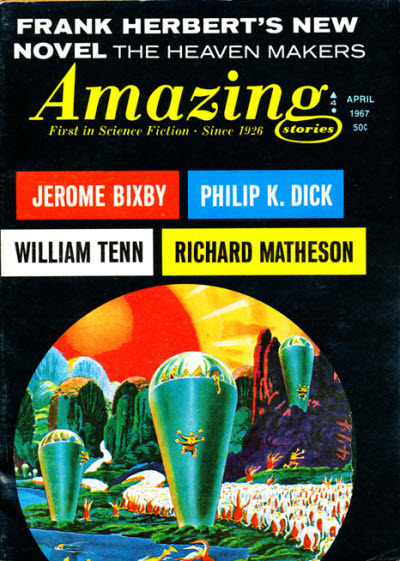 · [front cover] · James B. 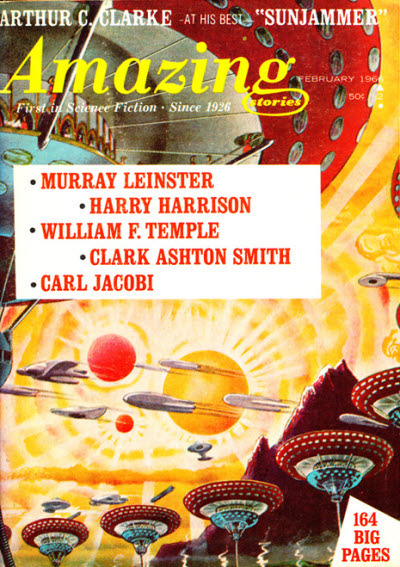 Settles · cv Amazing Stories May 1946; originally published as the back cover of the magazine. 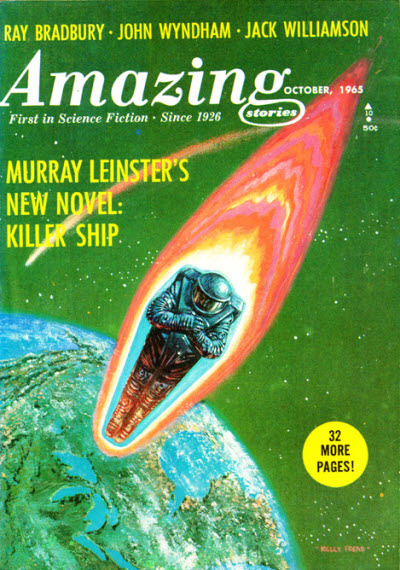 6 · Stopover in Space [Part 1 of 2] · Murray Leinster · n.
fc. 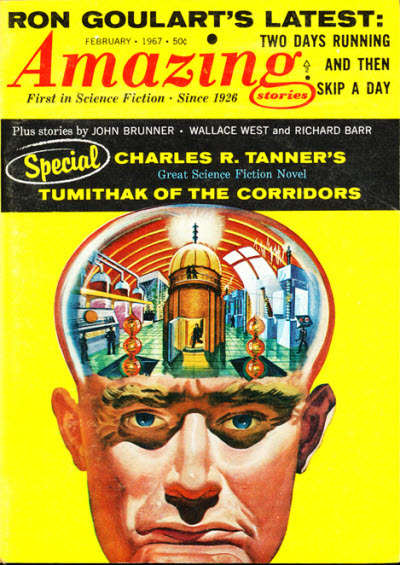 · [front cover] · James B. 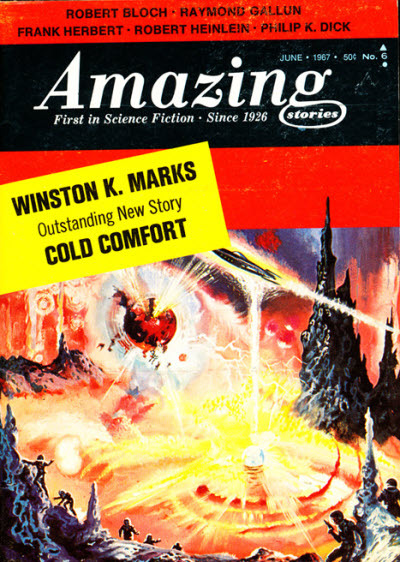 Settles · cv Amazing Stories Jul 1942; originally published as the back cover of the magazine. 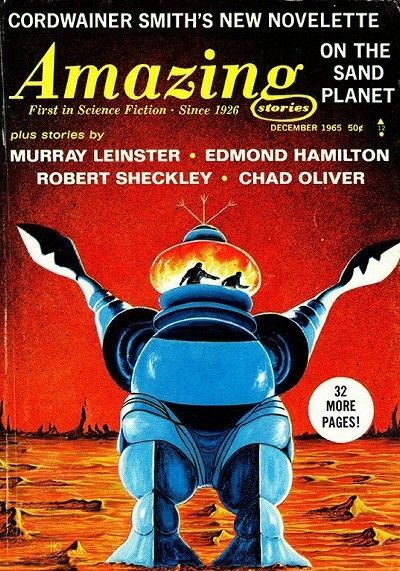 104 · Stopover in Space [Part 2 of 2] · Murray Leinster · n.
fc. 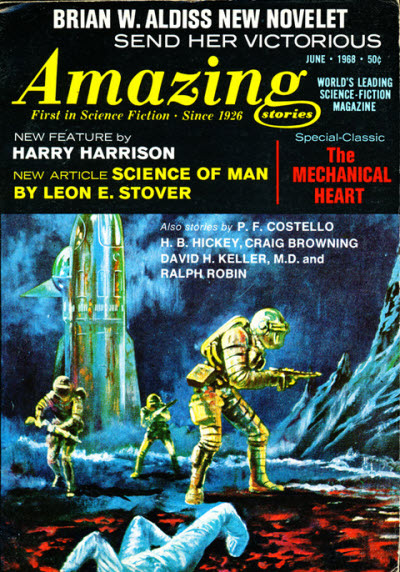 · [front cover] · Frank R. Paul · cv Amazing Stories May 1941; originally published as the back cover of the magazine. 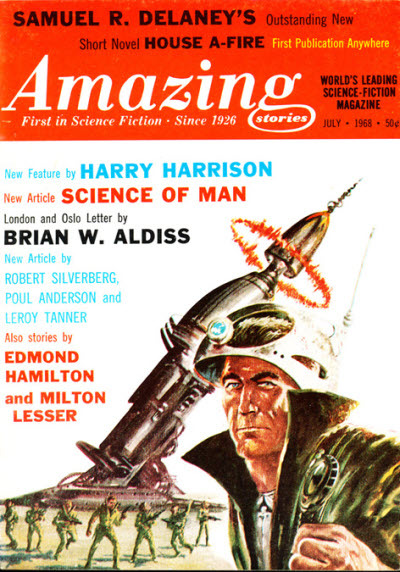 6 · Ensign Flandry [Dominic Flandry] · Poul Anderson · n.
fc. 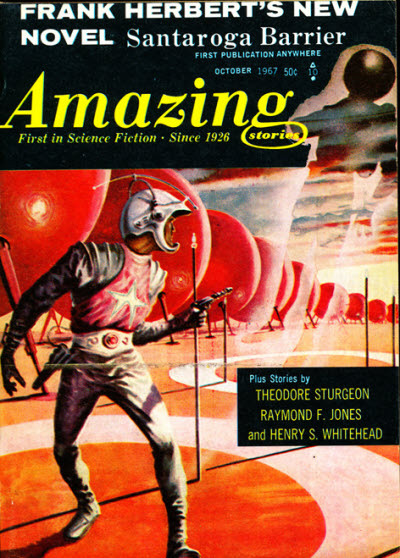 · [front cover] · Frank R. Paul · cv Amazing Stories Jan 1942; originally published as the back cover of the magazine. 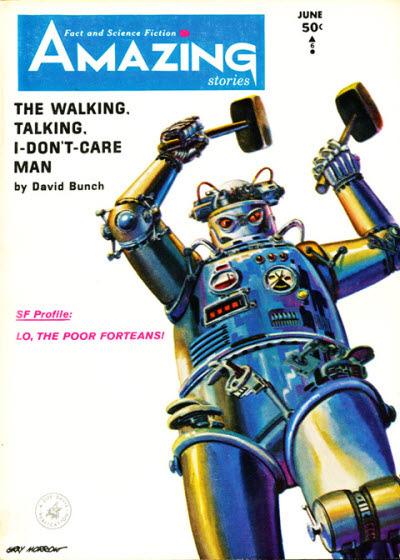 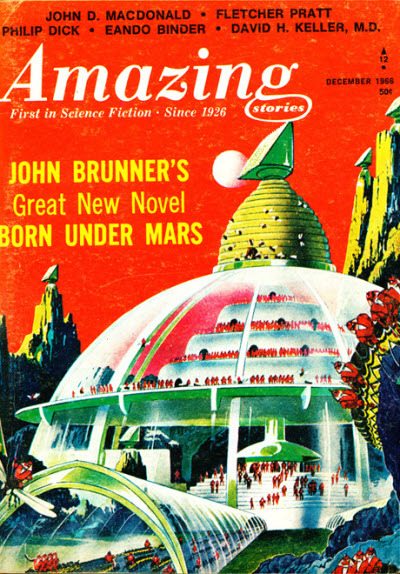 102 · Born Under Mars [Part 2 of 2] · John Brunner · n.
fc. 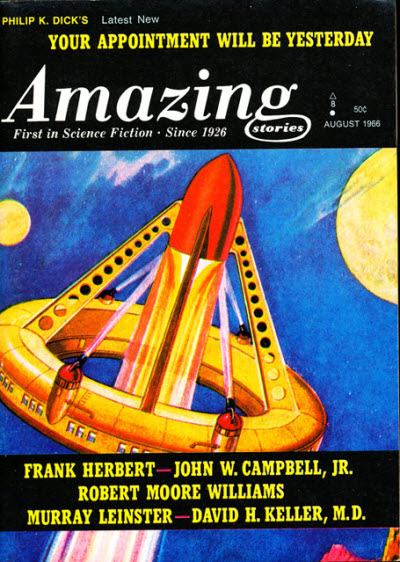 · [front cover] · Frank R. Paul · cv Fantastic Adventures Jul 1946; originally published as the back cover of the magazine. 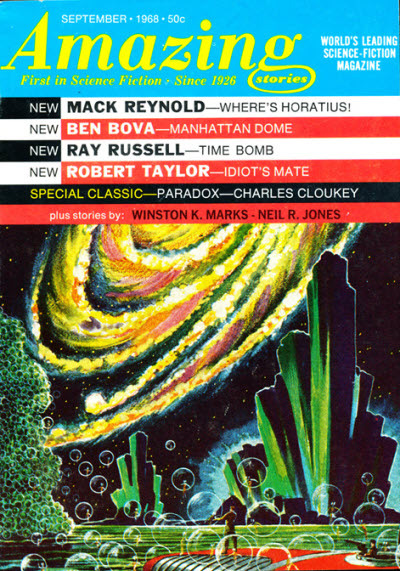 4 · The Heaven Makers [Part 1 of 2] · Frank Herbert · n.
81 · The Heaven Makers [Part 2 of 2] · Frank Herbert · n.
fc. 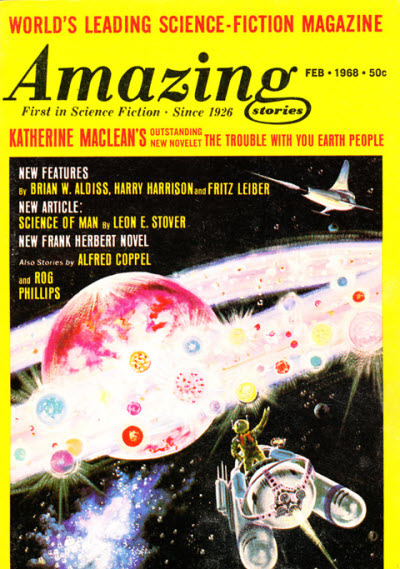 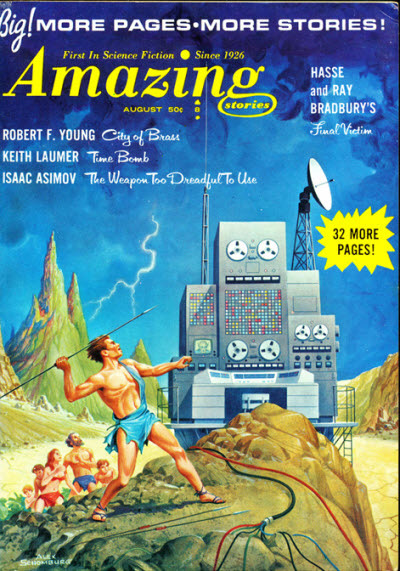 · [front cover] · Frank R. Paul · cv Amazing Stories Apr 1941; originally published as the back cover of the magazine. 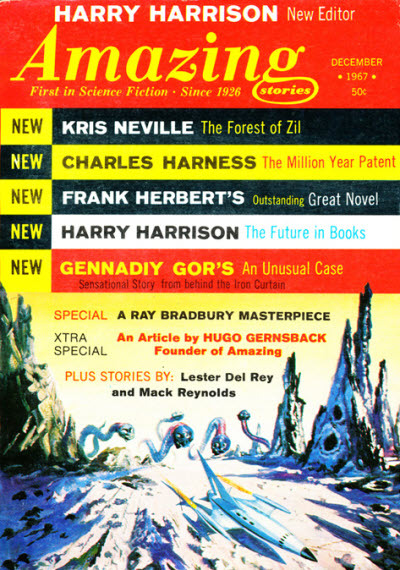 6 · Santaroga Barrier [Part 1 of 3] · Frank Herbert · n.
34 · Santaroga Barrier [Part 2 of 3] · Frank Herbert · n.
67 · Santaroga Barrier [Part 3 of 3] · Frank Herbert · n.
June 1968 printed on the cover.